This entry was posted in human mind, slice of life by itlandm. Bookmark the permalink. What is your take on thought being a semi-alive creature like bacteria? This is interesting. I am aware of mind parasites and how they rule the world, but the sheer scale of it as perceived here is new. I’ve had horses like that. They’re “barn-spoiled”, but you haven’t been in your figurative “barn” long enough for it to beckon you home so strongly, or at least I wouldn’t think so! 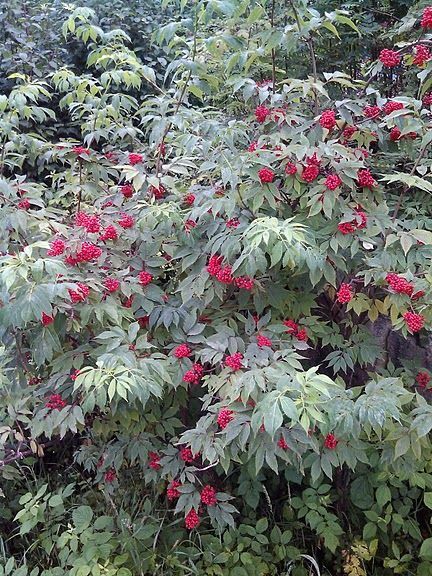 Pretty berry-bush. And the photo you posted several days ago of the road near your new home is also very pretty. It seems you can live wherever you want in Norway and it will be pretty. “I would say that what we’re seeing is something like projections inside projections. That would be how I would characterise ‘levels of reality’ – each projected world is real to the projected things within it. Talking about a ‘unified reality’ seems a little metaphysical. It seems as if, actually, there are realities inside reality, and maybe even realities inside realities, inside realities. Like a russian doll. In each level of reality, the projection of space opens up an environment in which evolution can lead to life, and from the point of view of that life, that projection IS the universe. Now the thing is that as a human, you cannot really see what the universe looks like from the perspective of thought. The human animal is not a thought, and so all the ways in which I – and whoever wants to follow me into examining this – have been able to understand what’s going on with thought – is by deduction, inference, guesswork and testing. We can’t directly know what it’s like to be a thought – we cannot SEE the projection of consciousness as we see the reality around us. The point I was raising with Zach is this – ok, so that’s a level down, in terms of reality, from where we are. Is there a level up? Is there something projecting the reality we live in, just as we, as humans, project the reality thoughts live in? Again, we can’t know. We can’t occupy that level. But what we can do is to look at OUR interactions with thoughts, as they develop now that we are aware these things are alive, and see if they have parallels in how our reality interacts with us as humans. In doing that, you could very well build a serious case for the existence of God. If mind parasites are responsible for the evil people do – how can they be judged for it? If you ask whether it is right or good or useful to morally judge people, I think we agree it is not. In the judicial sense, we need to judge and lock away criminals in order to maintain a society in which people feel safe enough to unfold their talents. But a moral judgment is rarely productive. They know not what they do, after all.